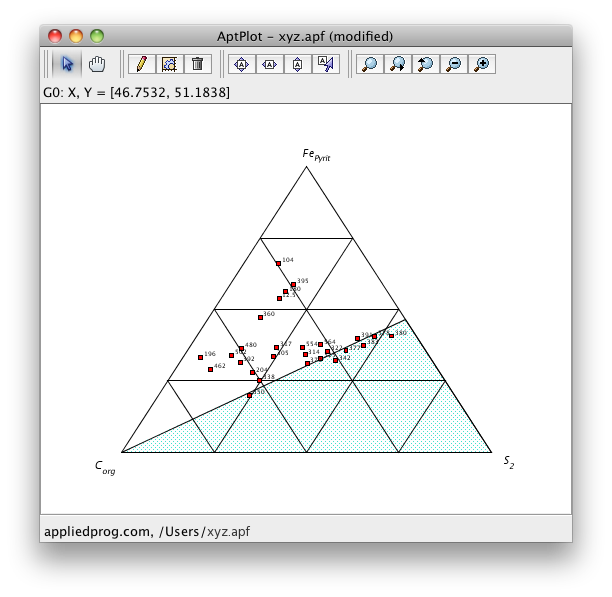 AptPlot is a WYSIWYG 2D plotting tool designed for creating production quality plots of numerical data. AptPlot contains extensive scripting and GUI support for the manipulation and analysis of data sets. AptPlot is intended as a drop-in replacement for AcGrace: the NRC Analysis Code version of Grace which has been modified to provide direct interfaces to several analysis codes, NRC Databank files, the Symbolic Nuclear Analysis Package (SNAP), and to provide an easier means of performing calculations using data from these files. AcGrace is a descendant of Xmgr5 which was created from software originally developed by Paul Turner, and later maintained by the Grace Team, coordinated by Evgeny Stambulchik. Although Grace has provided extensive capability for plotting and data analysis tools for several years it is also host to several limitations, primarily associated with execution under Microsoft Windows. It is written as an X-Windows Motif application in a combination of C, LEX, YACC, and IDL coding. The software is specifically tailored for Unix machines; users working with operating systems that do not provide Unix-like functionality often found installing and maintaining AcGrace difficult. With this in mind, APT has developed AptPlot as a functional clone of AcGrace using the Java programming language. In addition to vastly improved portability, authoring the tool in Java eases the addition of a host of other improvements, such as including a plug-in interface. This interface has been used to remove all analysis code specific functionality from AptPlot: those interested in such support can install the associated plug-in. AptPlot has been developed for Java version 1.6; any JRE providing less functionality than this release will likely be unable to run the application. More specifically, AptPlot will not run under Java version 1.5 and lower.